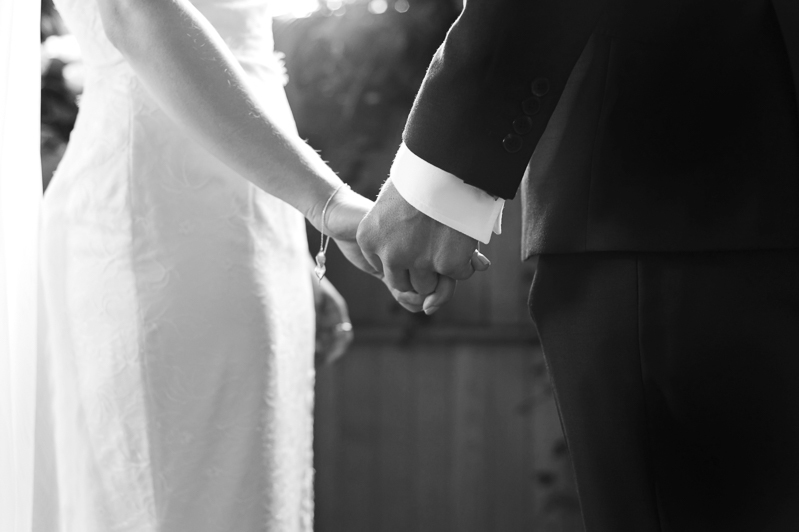 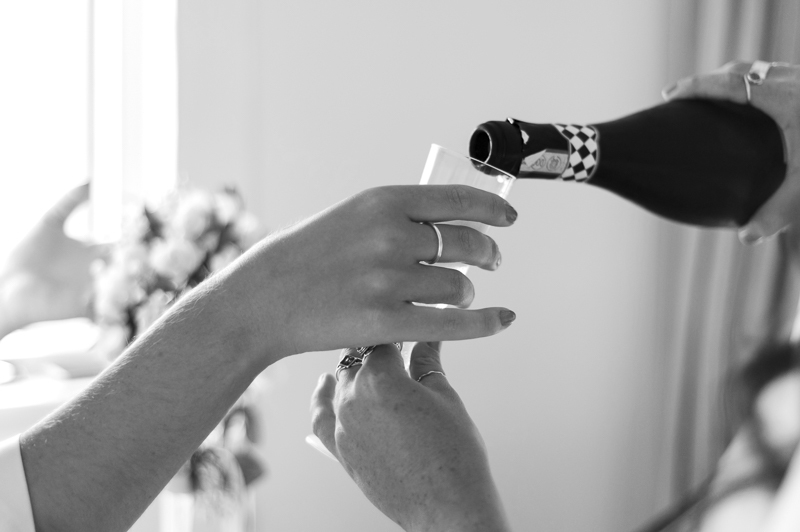 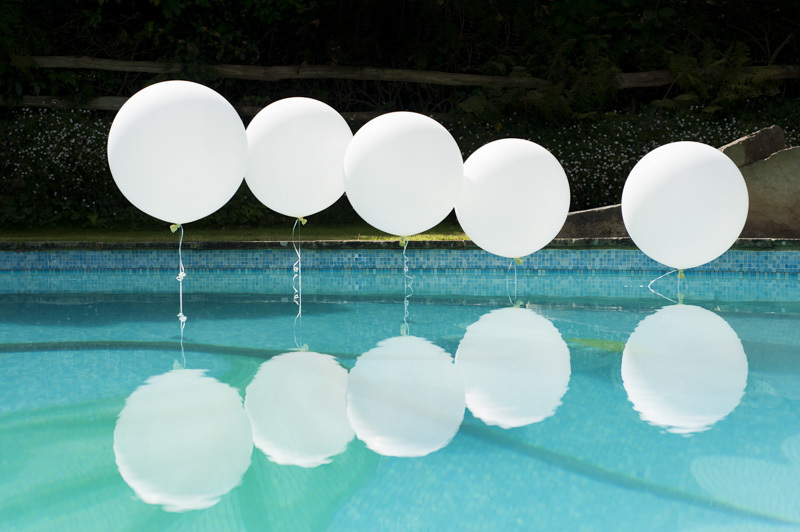 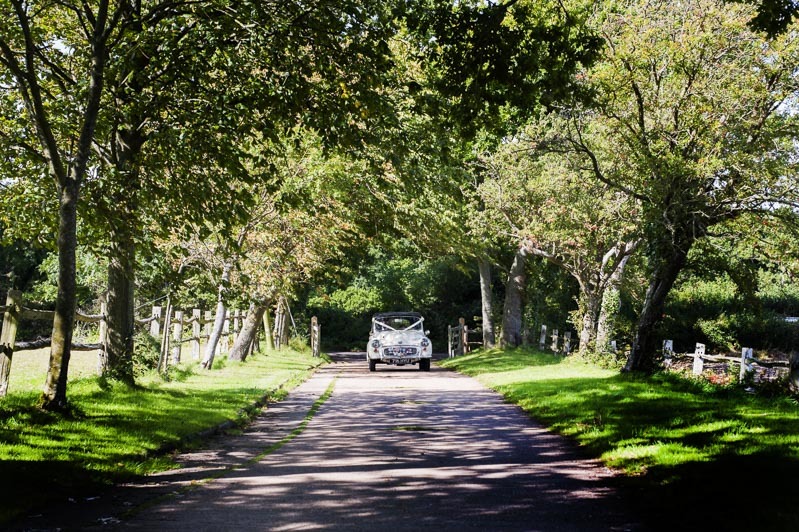 On the morning of the wedding day I started at the reception venue to photograph some of the preparations and set up. 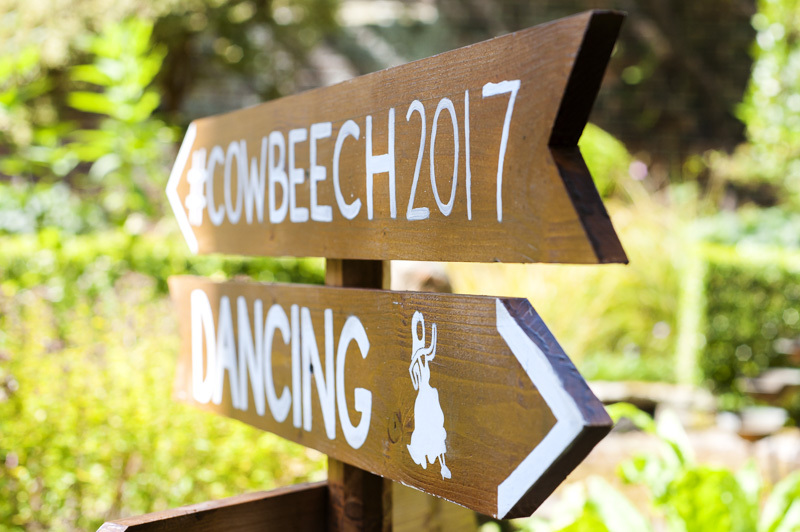 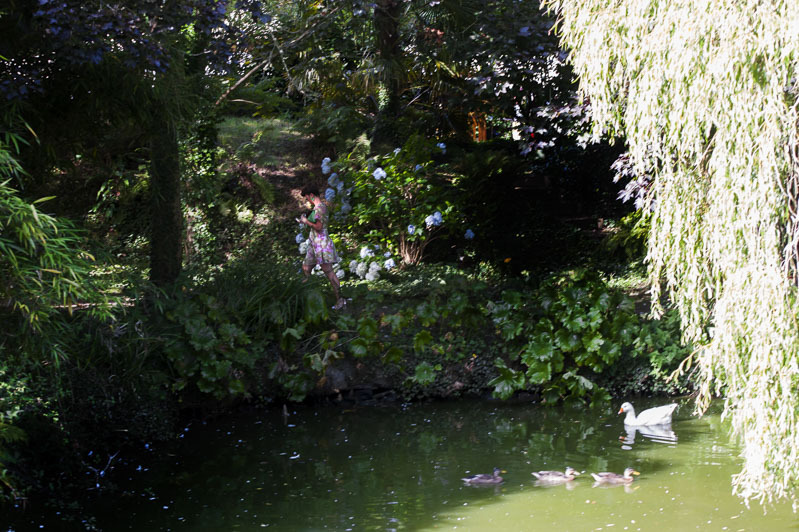 Cowbeech Farm is a private house with wonderful sprawling gardens owned by long standing family friends of Sophie and Tom. 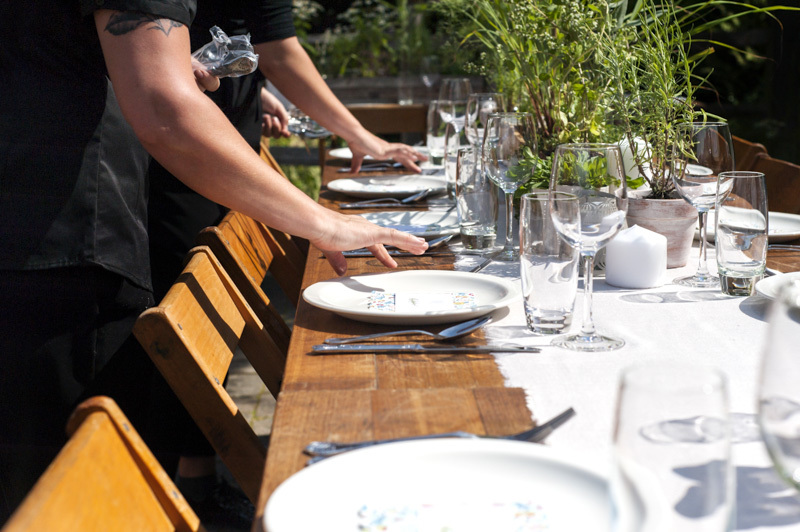 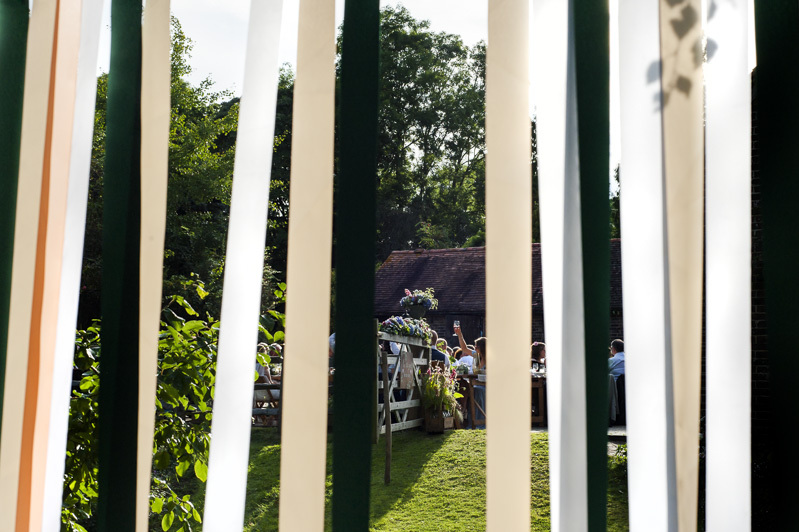 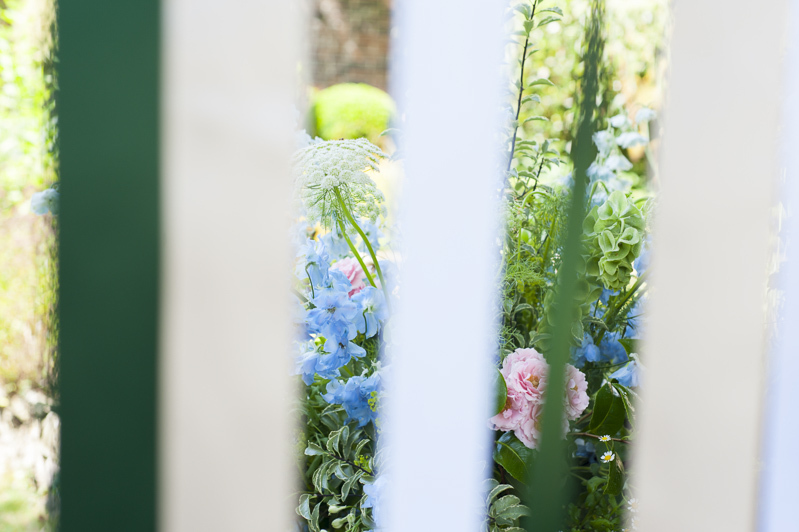 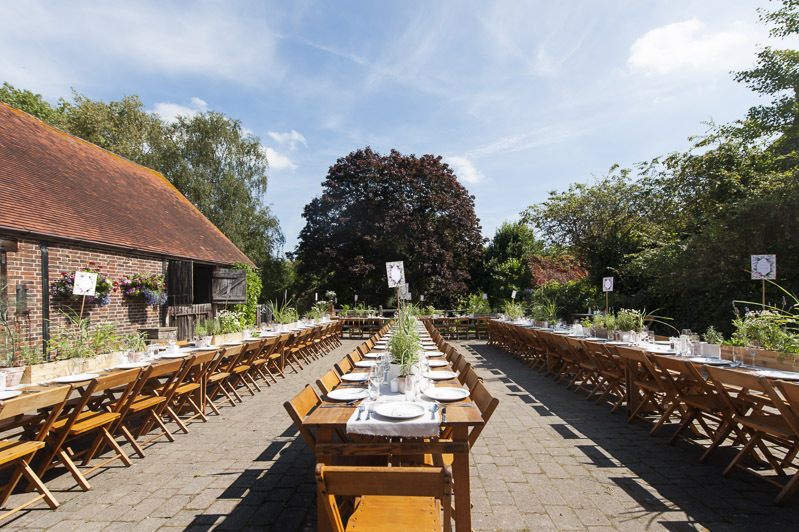 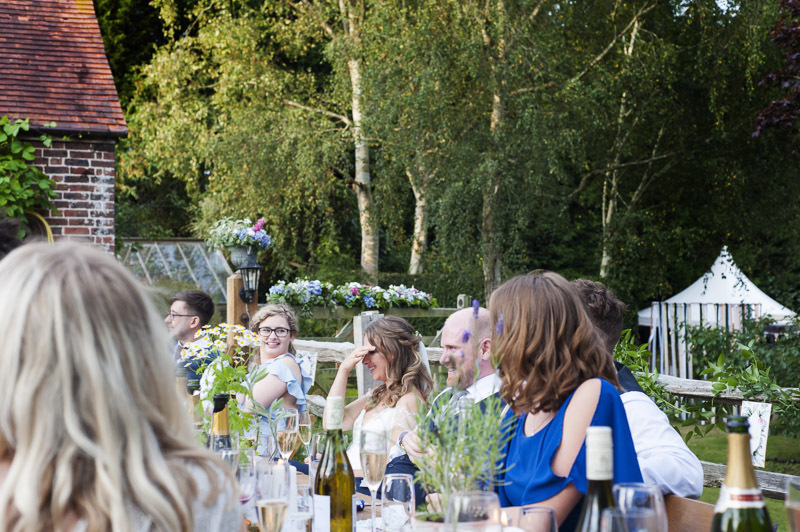 It was warm and sunny so the tables were being laid outdoors for a late afternoon wedding breakfast – perfect! 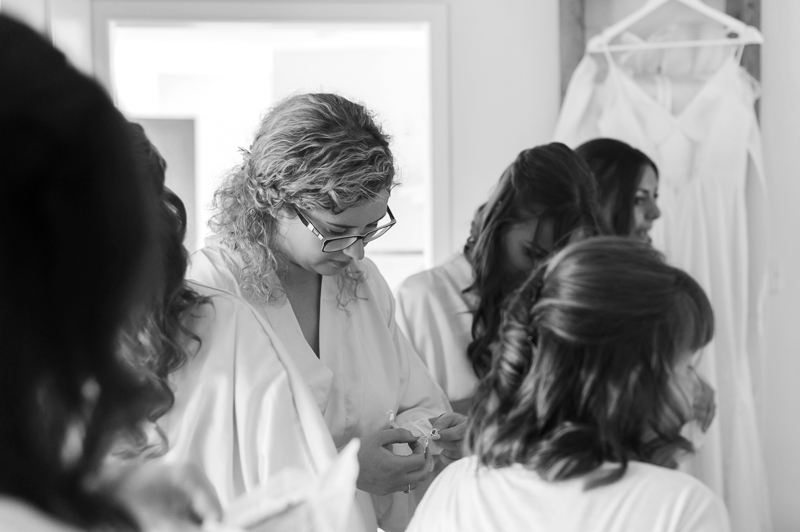 My next stop was a short hop to see Sophie, her bridesmaids and flower girls getting ready. 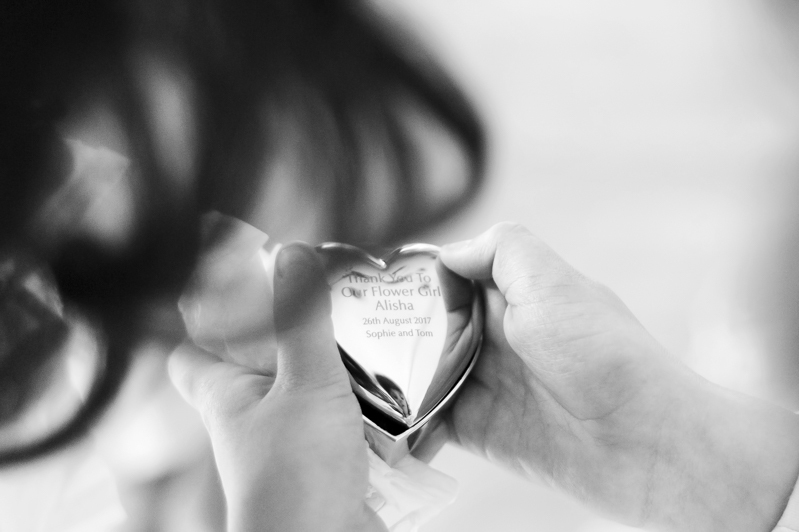 Sophie presented them with beautiful, personalised gifts which they were all thrilled with. 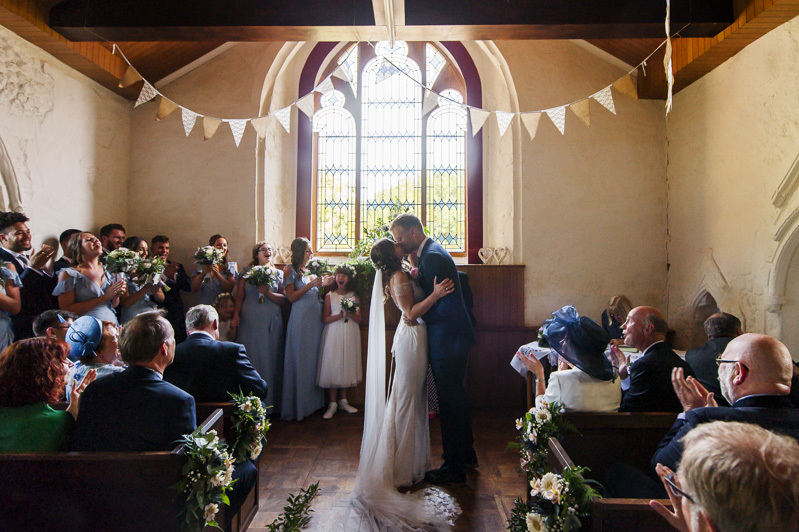 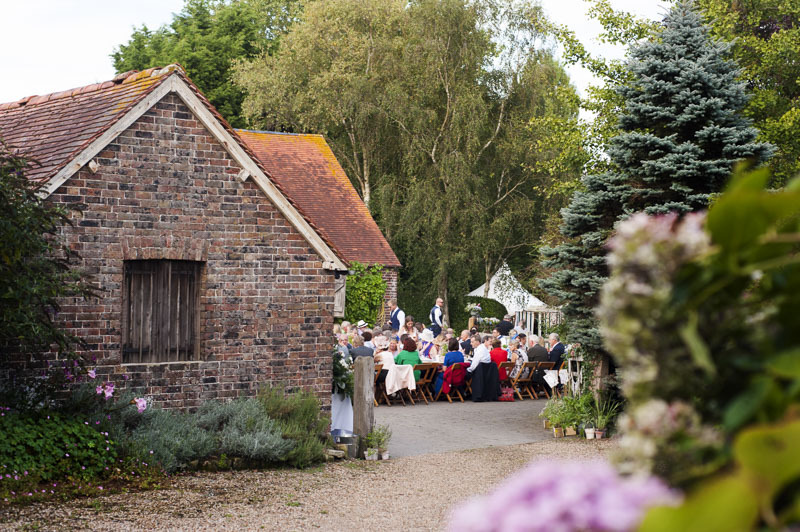 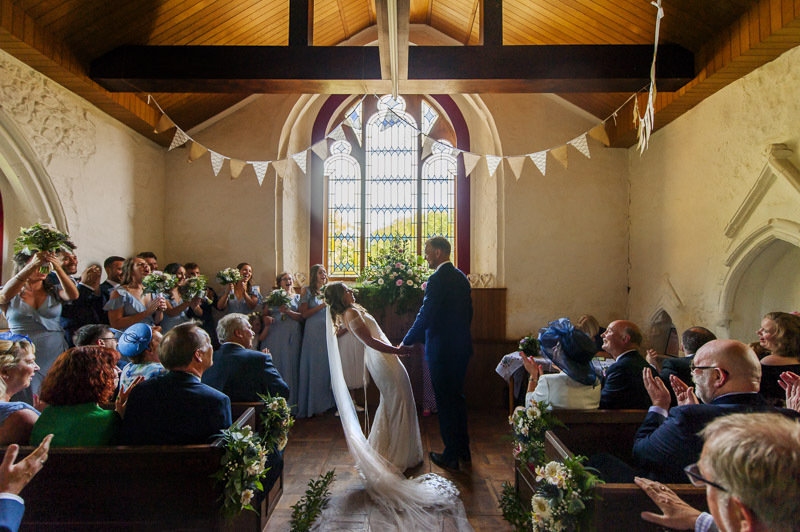 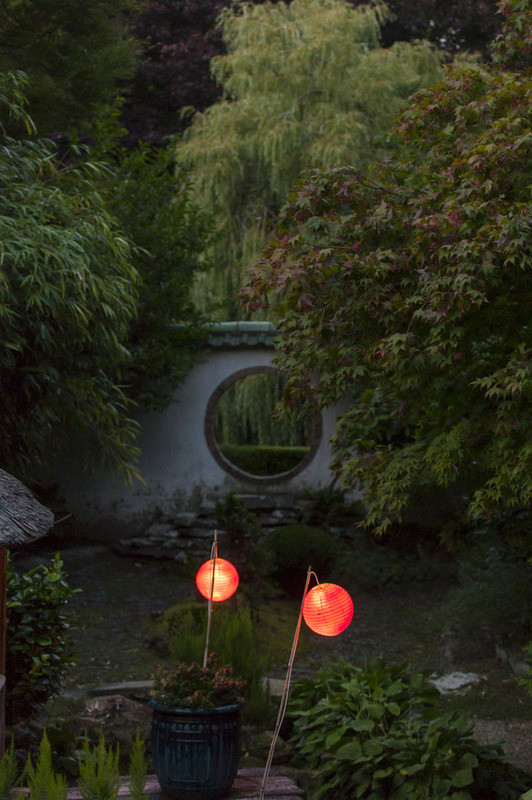 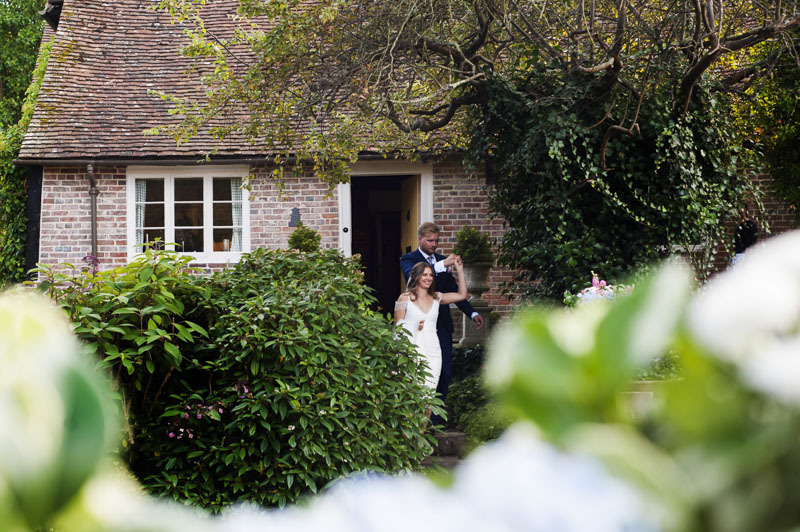 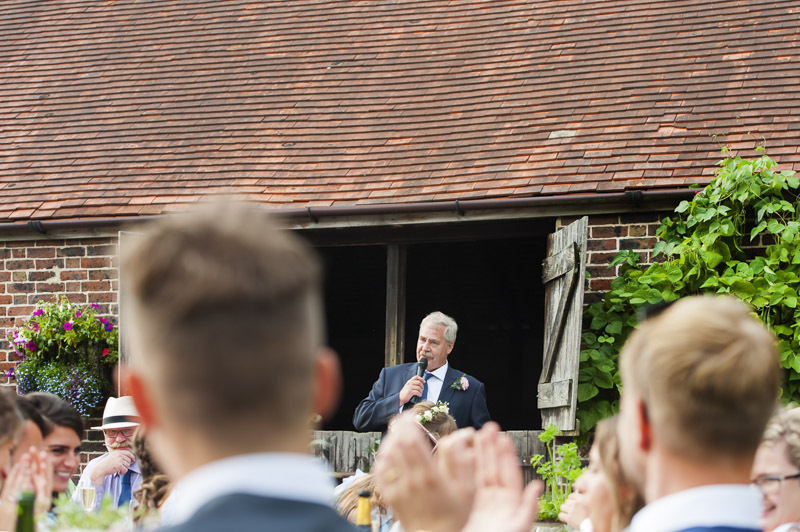 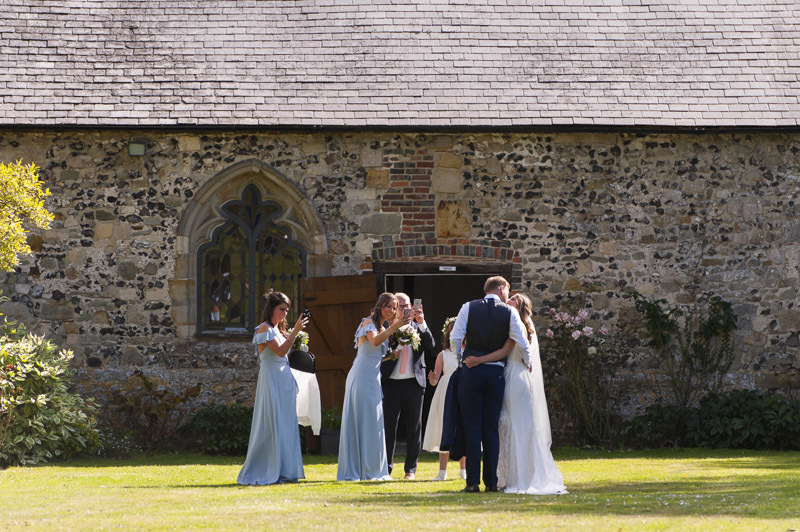 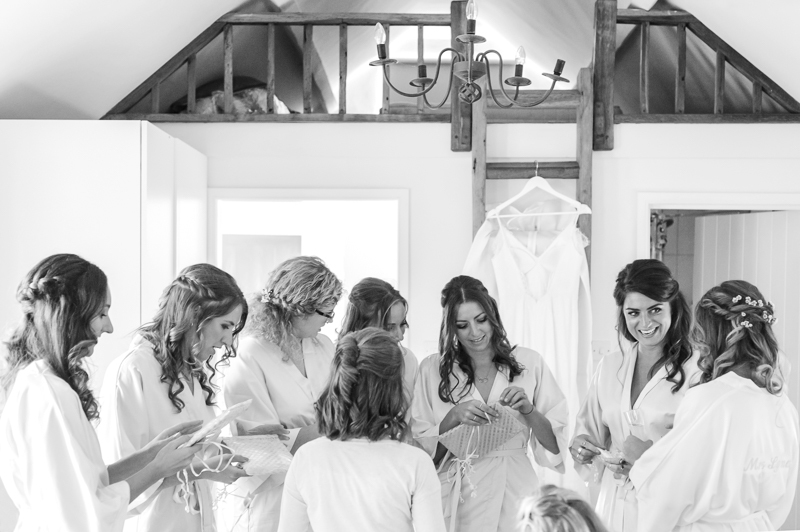 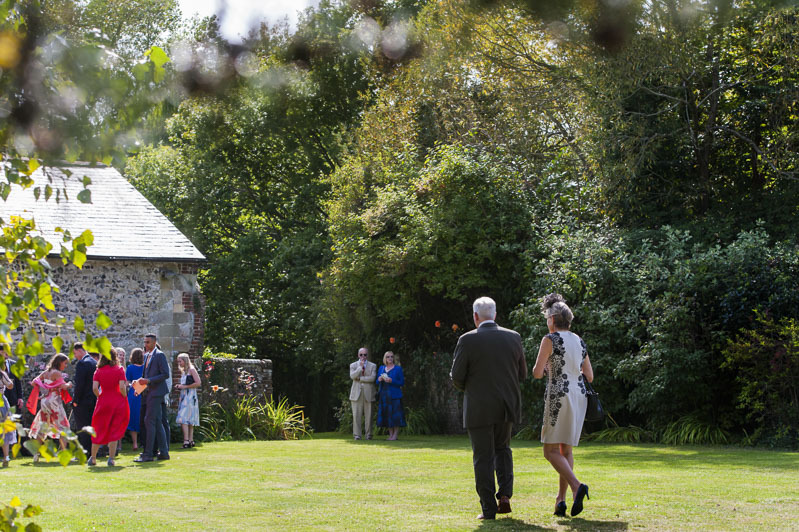 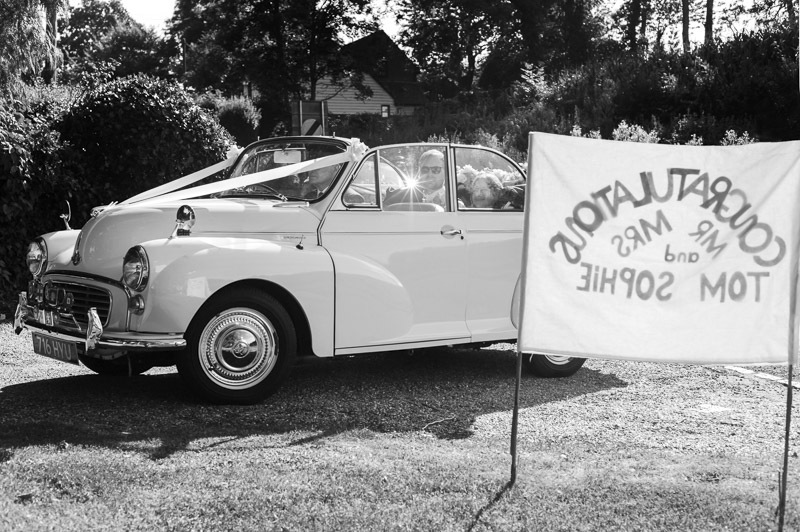 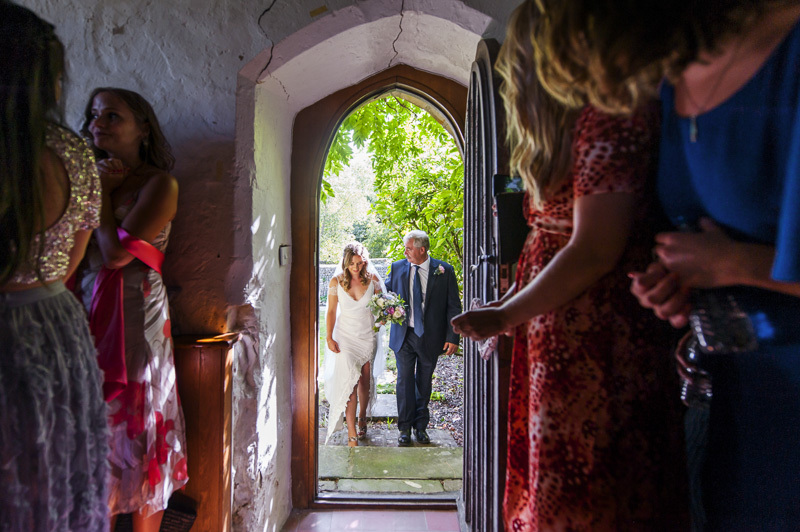 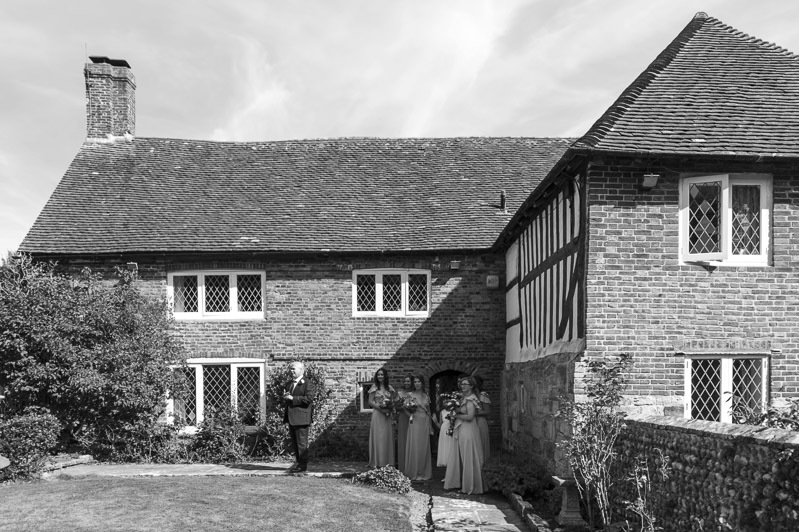 The ceremony building at Otham Court is a small 12th century chapel set in sweeping rural grounds. 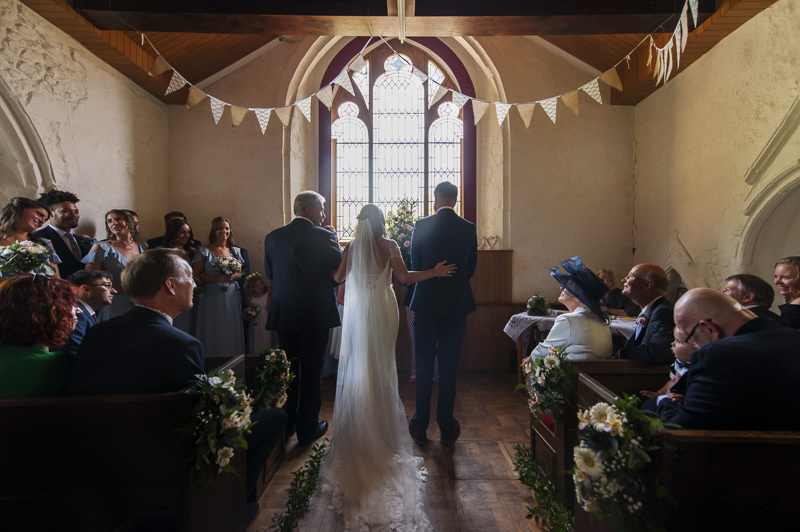 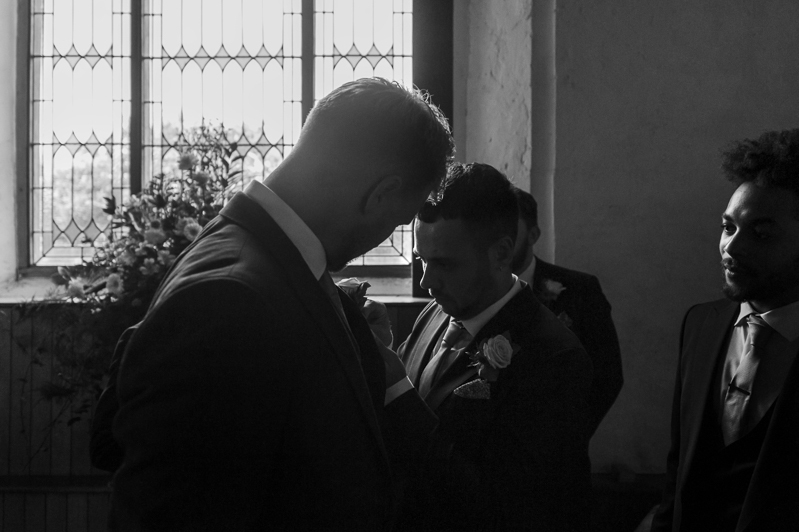 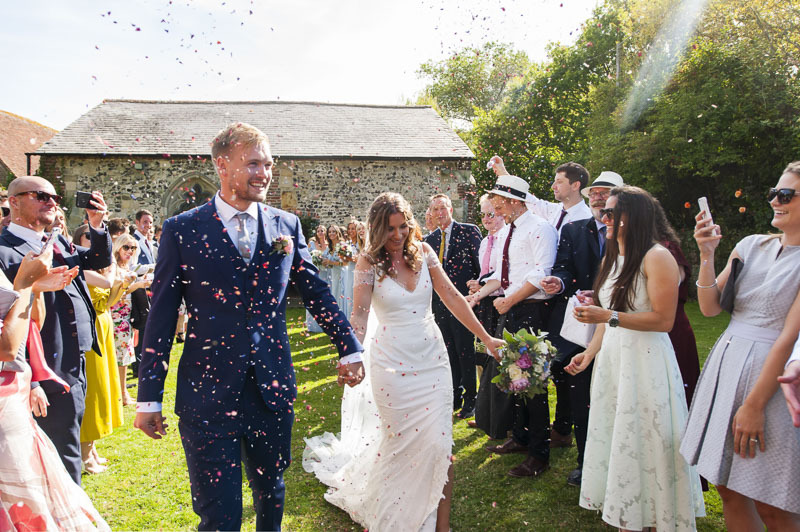 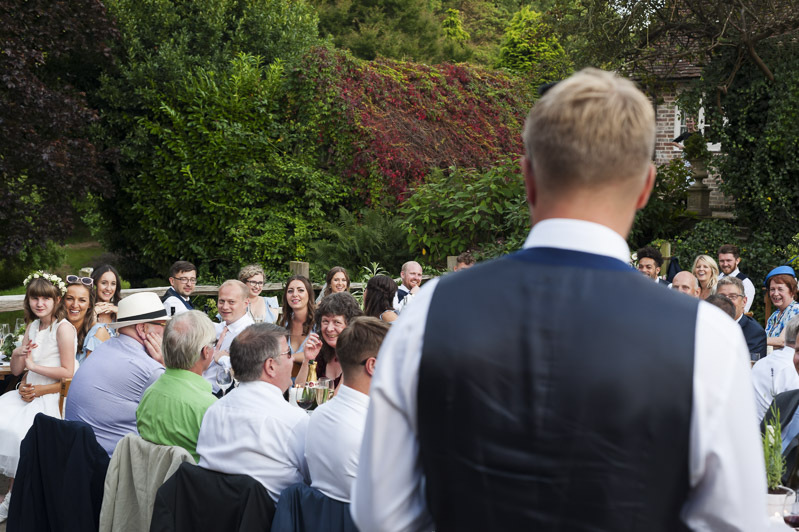 To say the chapel was compact for the number of guests is something of an understatement – it was packed! 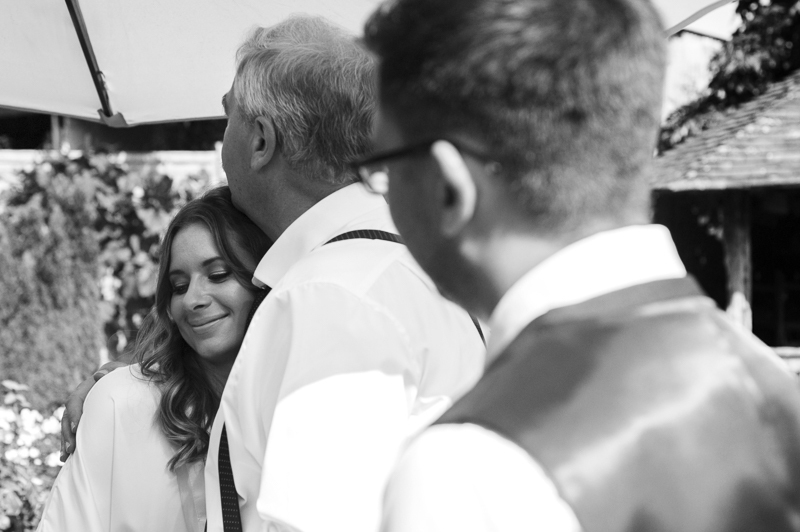 I had to wriggle through the standing room only section to catch Sophie and her father coming in and at one point was verbally invited by the registrar to come right up to the couple during the ceremony. 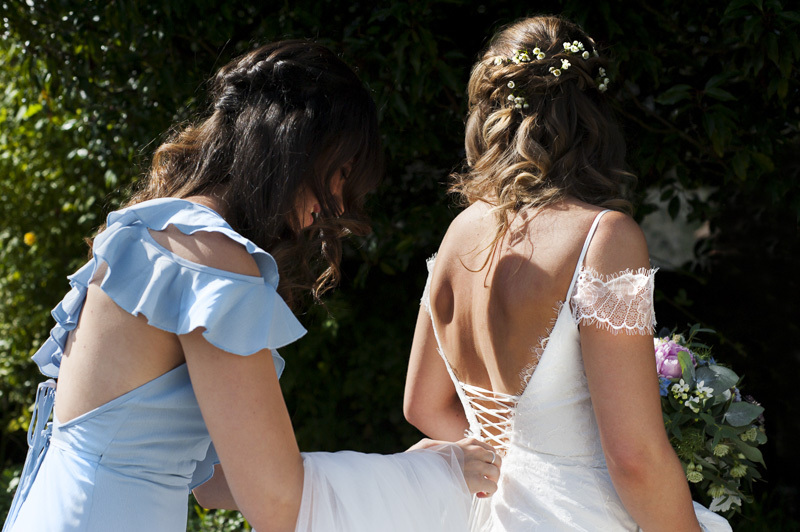 That isn’t something I would usually do unless agreed in advance with my clients and I’ve never had a registrar speak to me mid-ceremony before. 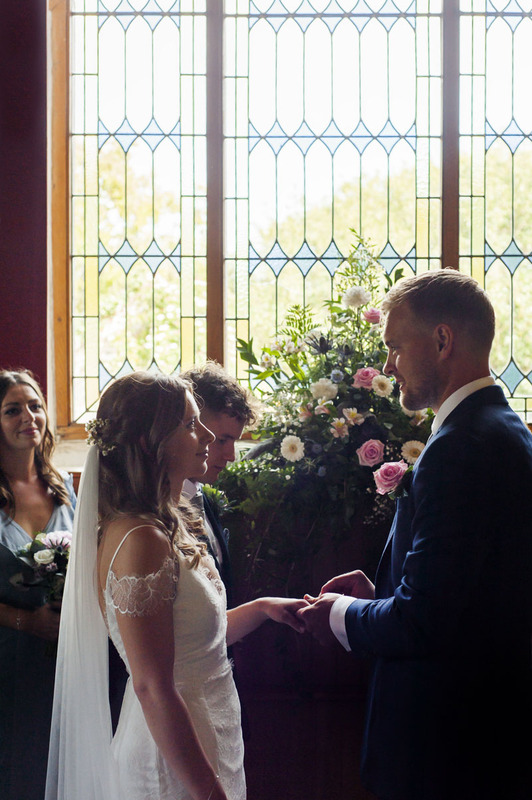 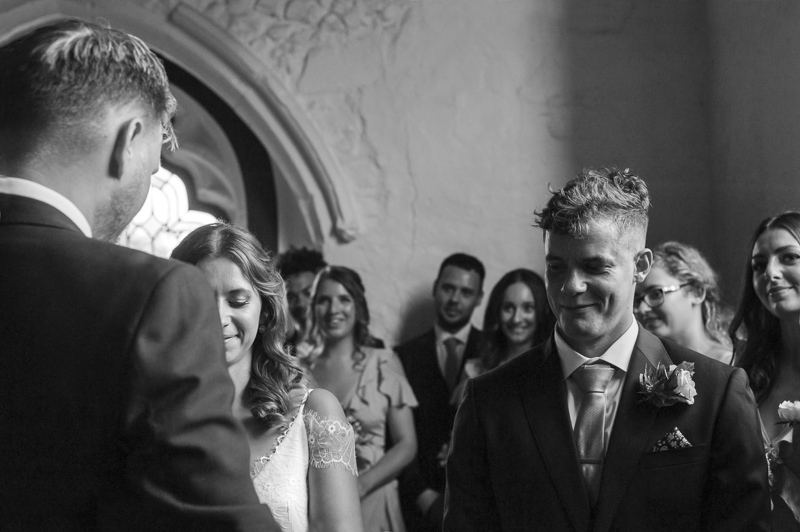 Tom beckoned me up and I found myself rather bizarrely in (as brief as I could make it) conversation with the registrar and groom in the middle of the ceremony! 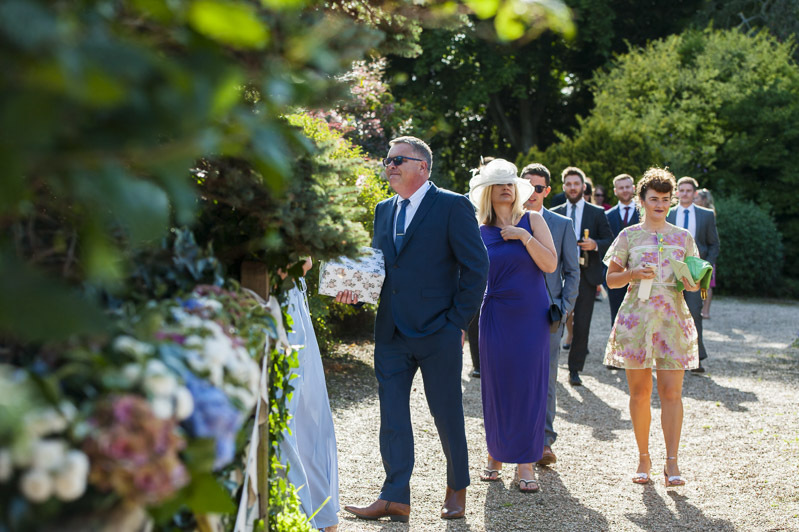 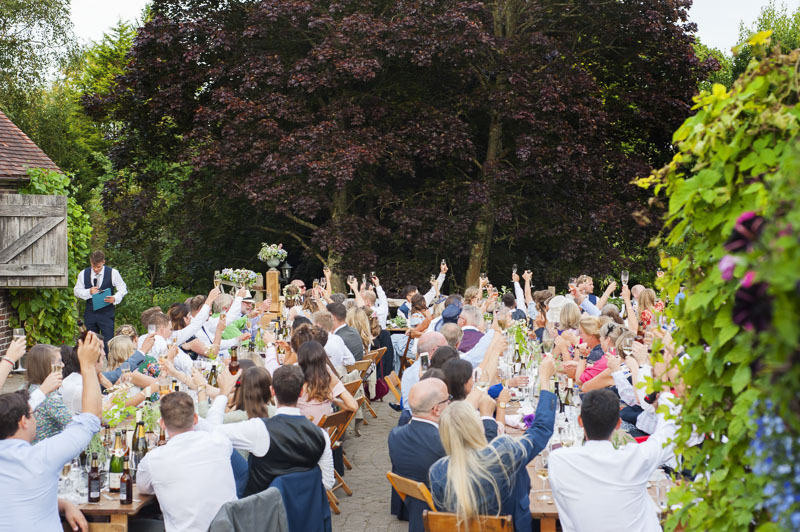 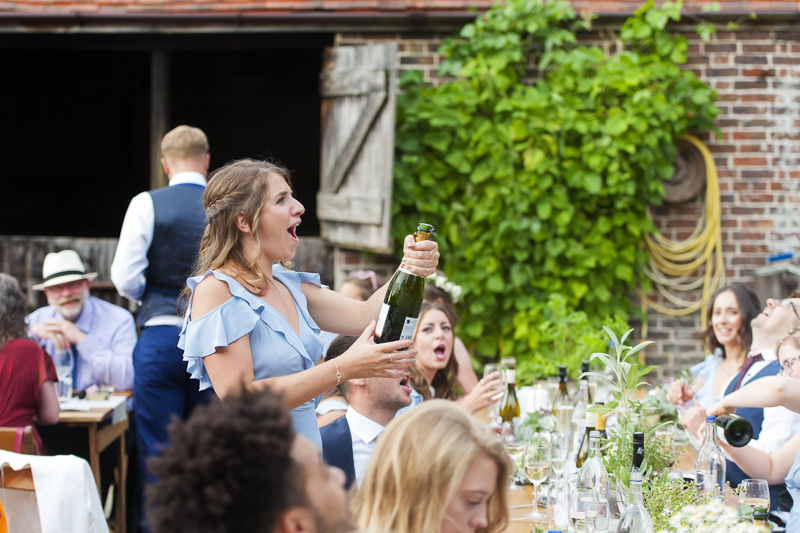 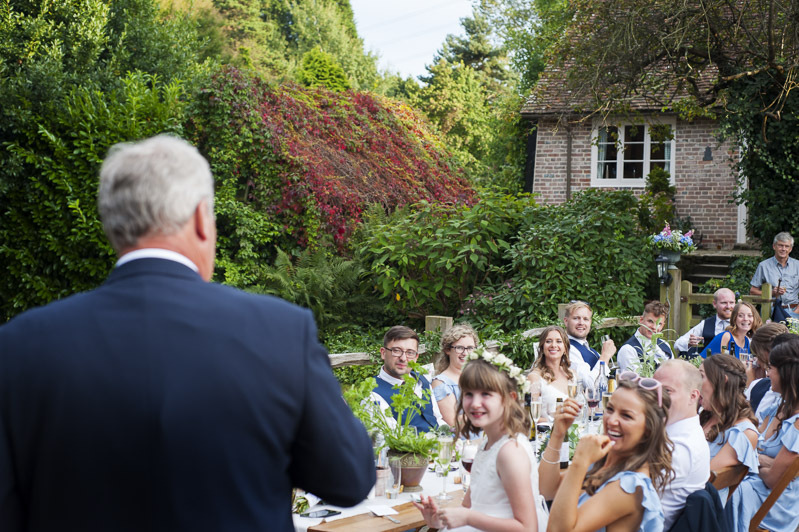 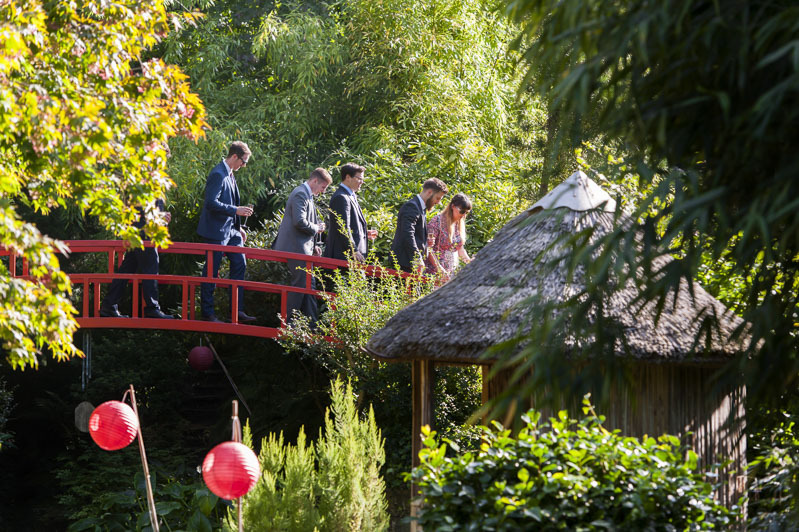 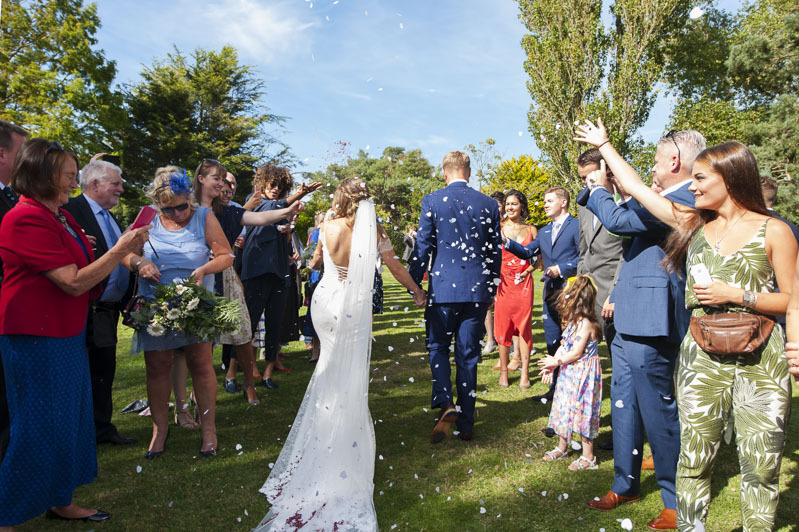 Afterwards, everyone made their way to Cowbeech farm for the reception with drinks on arrival and plenty of time to explore the gardens before the wedding breakfast and speeches. 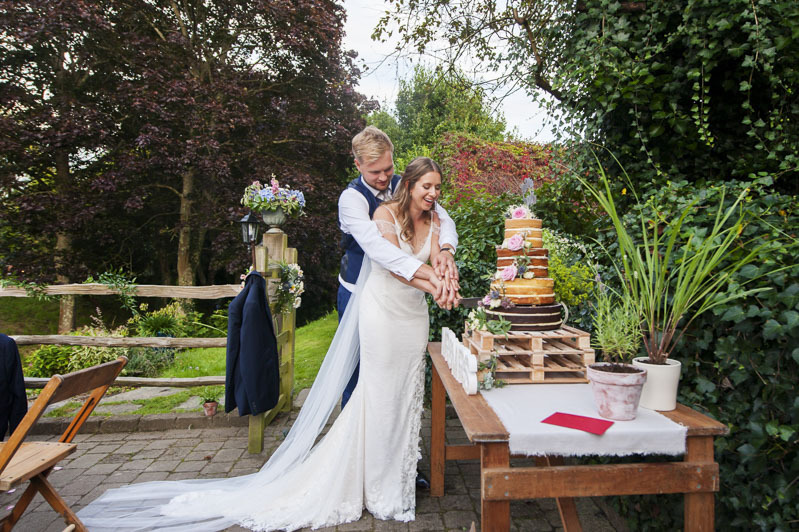 Sophie and Tom cut the cake just before their ‘official’ first dance and that got the music and dancing going. 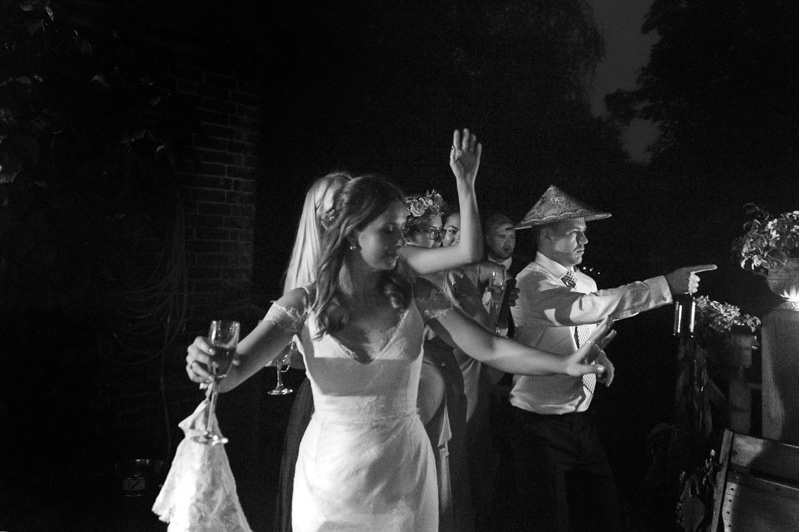 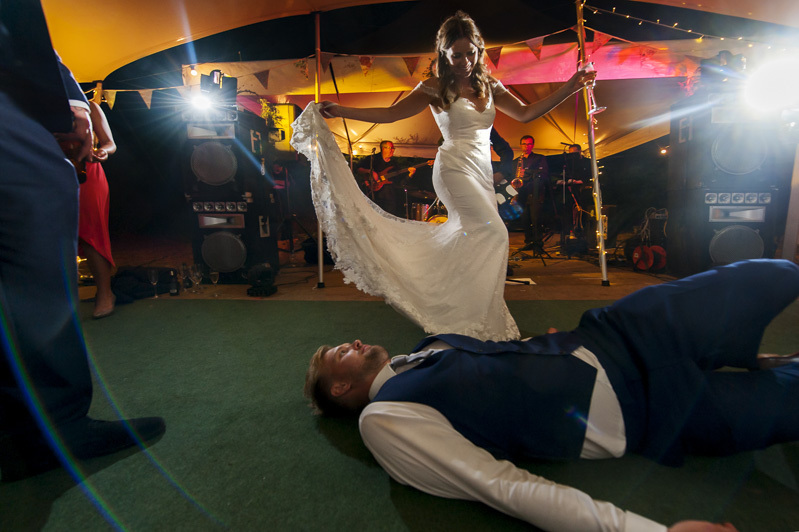 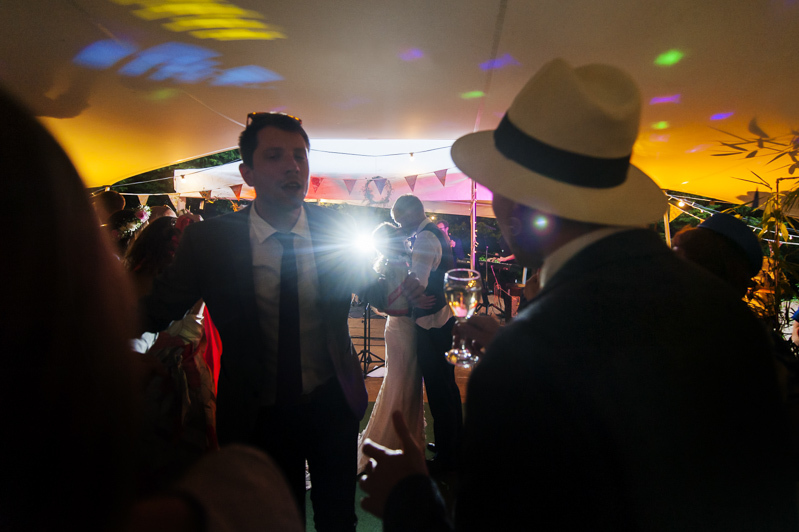 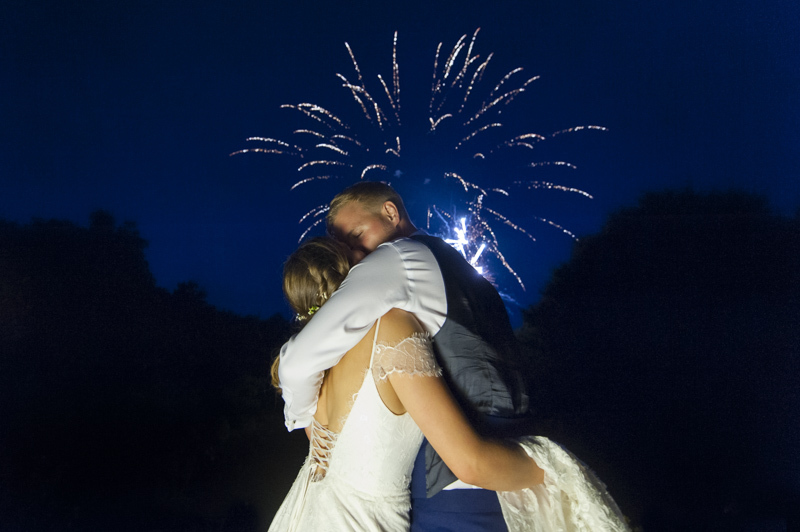 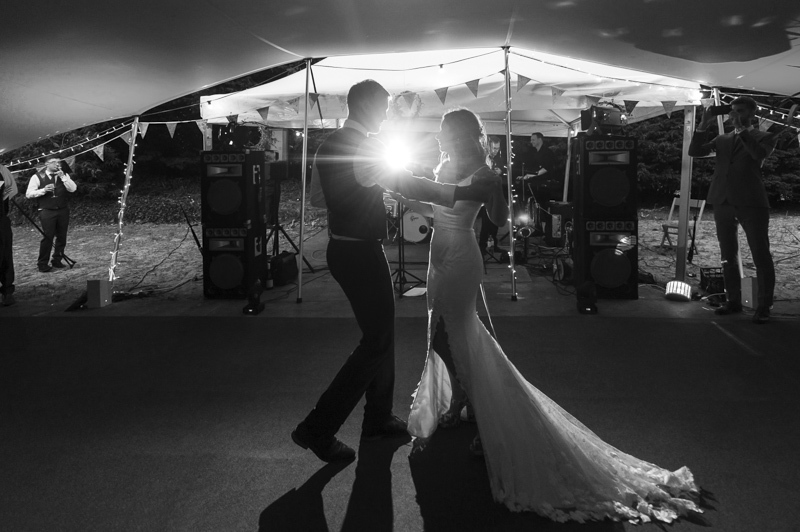 Later in the evening everyone was told to make their way to the back of the house for what turned out to be a surprise firework display and back in the marquee, I was really pleased to catch Sophie and Tom’s ‘unofficial’ second dance which was great fun!